Win with Bloke and Striped Horse! 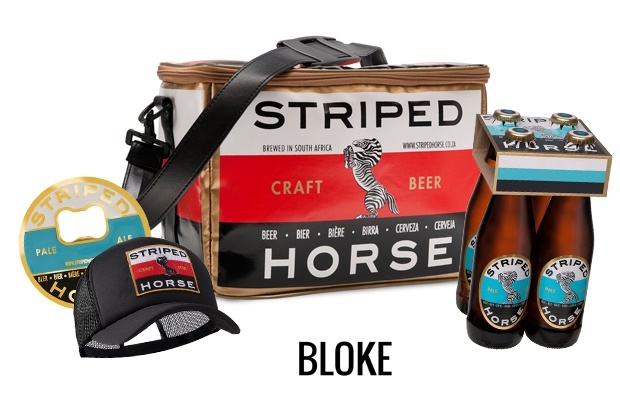 Cape Town – To introduce the world to Channel24’s exciting new spin-off publication we decided to team up with Striped Horse and give away two cooler bags with beer. Bloke is a brand new news hub packed with stuff for guys (and the people who love ‘em). Filled with laid-back, easy-to-read content, Bloke aims to keep you in the loop with everything interesting - from the latest entertainment news, sport updates, recipes, and travel ideas to must-know motoring tips. Joining forces with Striped Horse was a natural fit. We do love us some craft beer! A cooler bag. 12 Striped Horse beers. A bottle opener. Trucker Cap. Pop over to our Facebook page and give us a like. Write a quick post on our wall and tell us of the most adventurous thing you’ve ever done. Then tag a mate and tell him to do same. The competition closes on Wednesday,8 February at 17:00. Winners will be notified via Facebook. The promoters reserve the right to amend the terms and conditions as well as terminate the competition at any time. 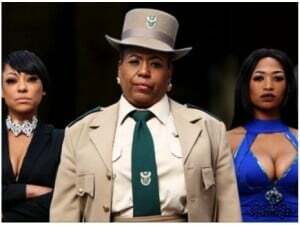 In the event of such termination, all entrants agree to waive any rights that they may have in terms of the competition and acknowledge that they have no recourse against Channel24, its advertising agencies, advisors, suppliers and nominated agents. If you have won a 24.com competition within the last 30 calendar days, you may not participate in this competition. Join Bloke on Facebook and Twitter. WATCH: James Corden pranks David Beckham and it’s honestly TV gold!